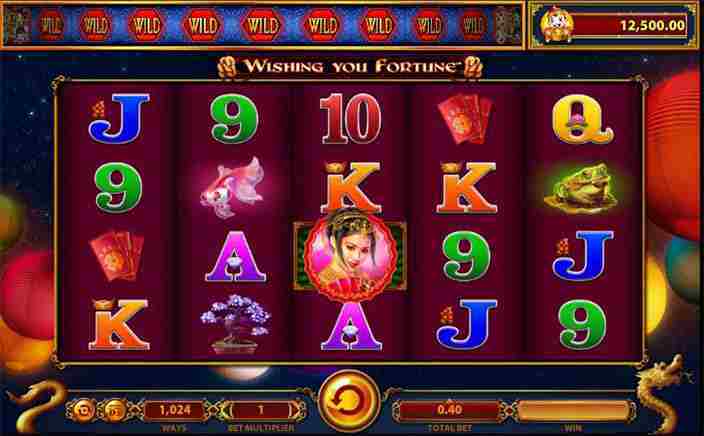 If you like everything about Asia, then you will like Wishing You Fortune slots game based on the Asian theme. Set in the backdrop of night sky lit with bright and colourful Chinese sky lanterns, the theme is perfectly complimented by an Asian music to sooth your mind and ears. This 5 reel slot offers 1024 ways to win and is very fast paced that makes your finger more active, and if tired autoplay option is available for your rescue so you can sit back and enjoy watching your wins. You can bet from £0.40 all the way to £50 per spin and stand a chance to win some huge rewards. The developer is Williams Interactive that is gaining immense popularity with the success of its several innovative slot games. Each of their games offers a unique experience and a new type of bonus features to make your winning easier and more fun. The base symbols of Wishing You Fortune slots are a frog, Koi carp fish, bonsai tree, heron and dragon. The bonus symbols are the Chinese dragon, a beautiful lady with a hand fan and the game logo. The base symbols show the actual amount you can win on a specific number of landings instead of the number of times your stake. For example, the highest of all which is Heron awards you with £625 when five of them appear on centre payline. ● Wild Feature: The Chinese dragon is the wild symbol of Wishing You Fortune slots and covers for all the symbols except scatter and game symbols. Wild appears only on reels 2, 3 & 4 and can offer you a chance for huge wins when all three appears on a single payline. ● Scatter: The lady with hand fan is the scatter symbol and gives you 5, 10 and 50 times your stake when 3, 4, or 5 of this symbol lands during a spin. Along with multiplier this also gives you free spins, however, you will get a chance to choose how many free spins you want to pick. You can choose from 10, 13, 15, 20 & 25 free spins each with different multipliers, the least number of spins offer up to 30x multiplier on all your wins and 25 spins only give you a max of 5x your stake. 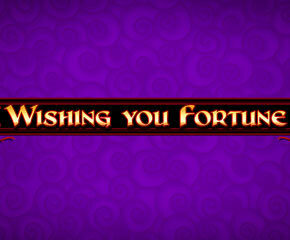 With ancient Chinese festival theme, Wishing You Fortune slots offer huge winning stakes with different bonus levels and surprises at every stage of the game. The animation and graphics in the game offer a stunning visual experience throughout the game.